We are happy to announce the addition of the new women’s collection to the Lightly Cooked product line. 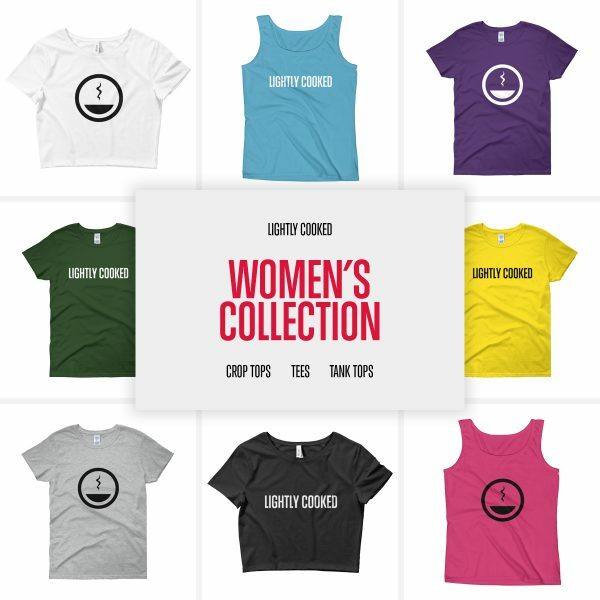 Our current women’s inventory includes Crop Tops, Tees, and Tank Tops. just in time for summer. Whether your donning the icon mark or the logotype, our collection has key pieces to keep you fashionably inspired.